Inspired by the quote "Do one thing every day that scares you." 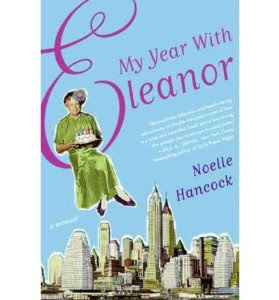 from Eleanor Roosevelt, the author decides to confront her personal fears during the year leading up to her 30th birthday. It's good so far! Even only a few chapters in, I find it funny, honest and inspiring. I look forward to find out the crazy things she does! Sounds like an interesting book. I still working my way through (or maybe I should say "savouring") Living La Dolce Vita! I've got that highlight function down pat now on my e-reader. So many good points I want to remember! It is so interesting! The things she does to conquer her fears are crazy. I also like a bit of history on Eleanor.